These earrings are my interpretation of an exclamation point. Did you know that a teardrop turned upside down is an exclamation point? They hang just over 2 inches long including the earwires and are about 1/2 inch wide. Shown in 14K goldfilled but can be made on order in Sterling silver. 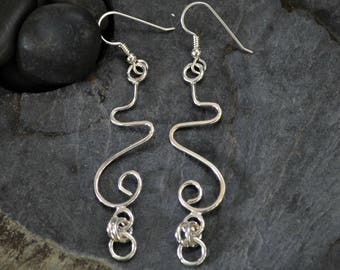 Please allow for very minor differences if purchasing the silver as each pair is made one at a time and shaped by hand. Other payments and local pickup may be accepted for local customers. contact me first. 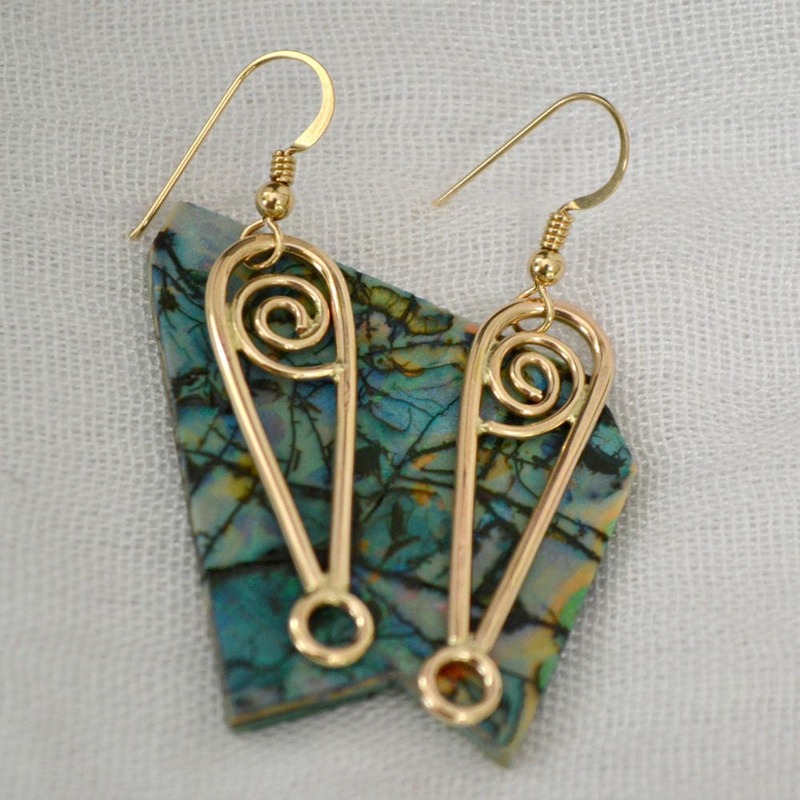 Love the design of these earrings and the stones are very pretty with beautiful colors. Every purchase from this shop has been terrific with quick shipping and great customer service! Thank you. Ocean jasper sterling silver dangle earrings. southwest style.